When God gives you a special gift and that gift changes your life for the better and brings you immense joy for 7 years, then that day is quite special. And as we contemplated celebrating Kya's 7th Gotcha Day, we wondered "How can we make each child's Gotcha Day anniversaries just a little more special? A little more memorable?" 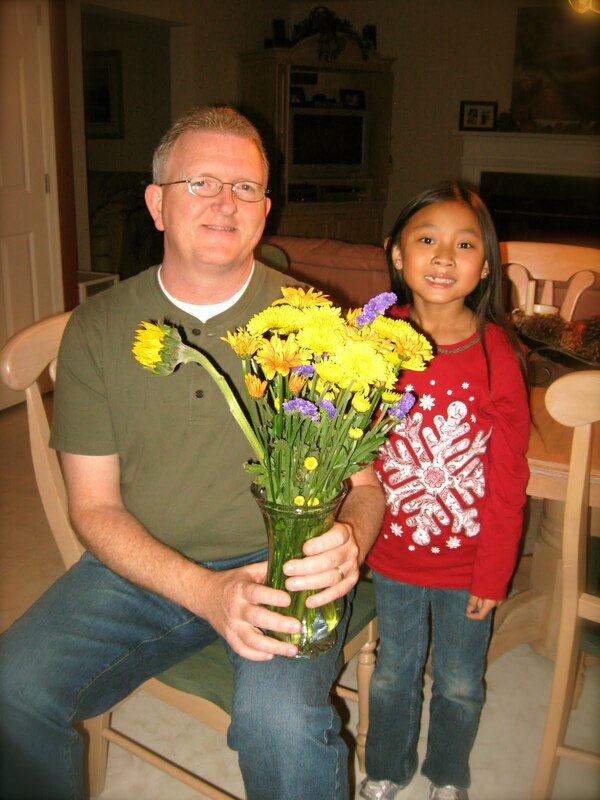 Flowers from Dad for his tiny sweetheart are a must every year. 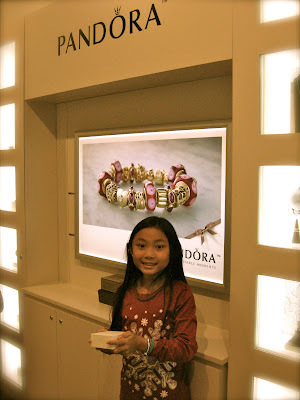 And then we took her to Pandora. 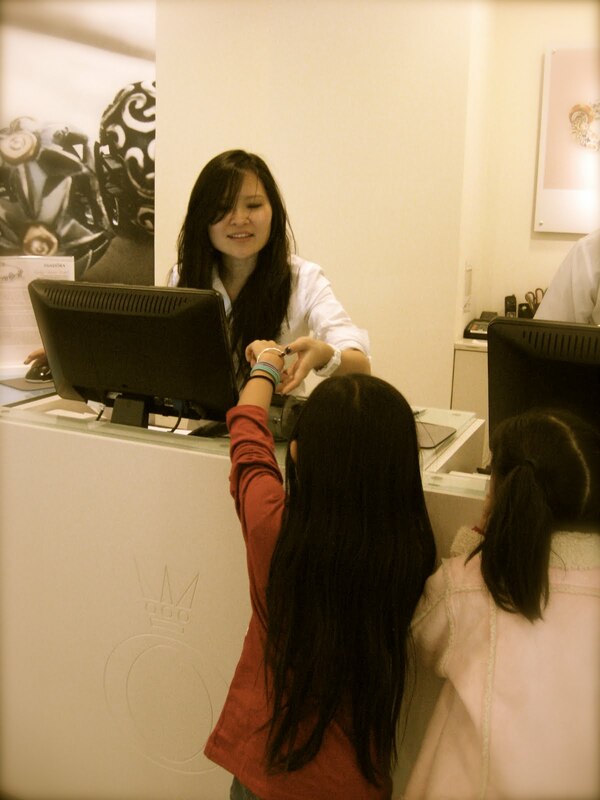 Because a girls first fine jewelry really should be from Dad. It's a little extravagent for us at this time in our life, but so is our love for this child, for all our children. There is always a reason not to splurge on the ones you love but sometimes you must push those reasons aside and just do it. This was one of those moments. We didn't want to wait another year to start this special tradition. And so she picked out her first charm. And next year she can pick out another charm. And every year on her special day (and all our girls special days), they can pick out a charm for their Adoption bracelets. 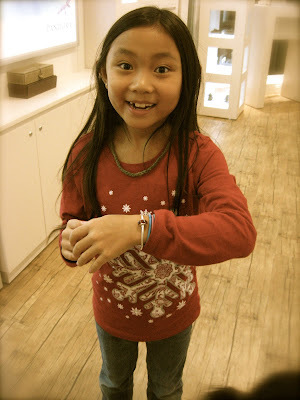 We hope this tiny memento in the form of a bracelet will outlast even their parents. When they look at it, they will remember the moments, the love, the bond we shared as a family formed through the miracle of adoption. I love this and I love your family. I'm so glad to have you in my life. I feel like God uses you so much to speak to me. Happy Gotcha Day (a little late), Kya!